“I don’t want to boast but sometimes it still surprises me. I’ll go walk by the finish rack and go ‘How did we do that?’ It’s incredible to me. 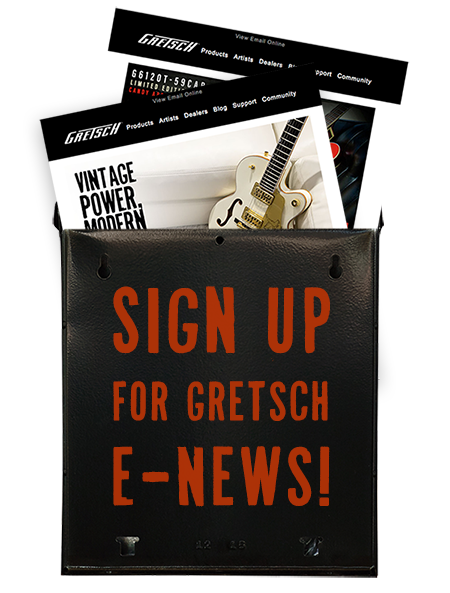 It still amazes me.” – Gretsch Custom Shop’s Chad Henrichsen. Go ahead and boast Chad! You and the rest of the Custom Shop team crushed it once again with your 2019 NAMM Show builds. While Henrichsen zeroed in on a “workhorse” G6128T Custom Shop Duo Jet, Senior Master Builder Stephen Stern crafted a gorgeous G6120-61 Custom Shop ’61 Nashville with a curly maple top and his specially-designed diamond inlays. Master Builder Gonzalo Madrigal sure has an eye for gorgeous woods, as indicative with his G6134 ’59 Penguin with Ziricote Top. The two “new” guys in the shop — Bill Jancar and Kyle Keesler — also delivered two show-stopping pieces. 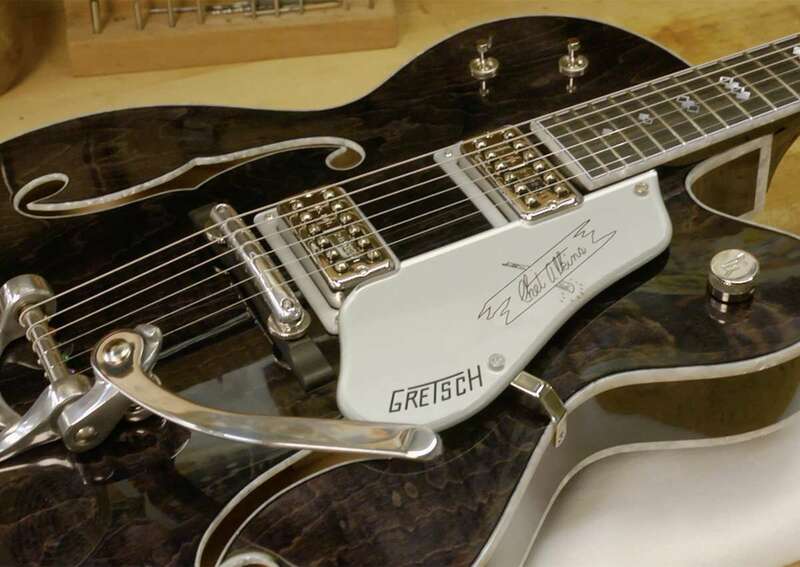 Known as the “relic guy” in the shop, Jancar created the Gretsch Custom Shop G6136T Falcon Jr., that no surprise, served up a heavy dose of kick*** relicing. Keesler, a rockabilly lover, got the inspiration for his Gretsch G6128 Custom Shop ’59 Bonneville Duo Jet™ NOS from a Bonneville motorcycle.